A donation was made to “Celebration for Kids” on behalf of Endeavor Capital. On Saturday, December 3, Celebration for Kids celebrated their 14th annual holiday party and featured delectable cuisine prepared by dozens of Boston’s best chefs, a colossal holiday shopping gallery silent auction, a thrilling live auction of priceless items, and dancing to the World Premier Band! Proceeds from Celebration for Kids are devoted to brightening the lives of at-risk kids during the holiday season and all year long. 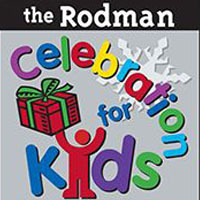 Rodman for Kids is an umbrella matching gift charity raising funds for youth-focused, social-service organizations that support at-risk children in Massachusetts. Rodman for Kids and its affiliated charities fundraise year-round, culminating with the Ride for Kids event, a 25, 50, and 100-mile noncompetitive cycling tour, each fall. Their mission is to have every kid in the community live as they would want their own kids to live.